You may have heard the saying: “Don’t put anything on your skin that you wouldn’t put in your mouth.” This is sound advice. The skin is the largest organ of the body and absorbs some of nearly every chemical it comes in contact with. This is how products such as nicotine patches and hormone patches work--through skin absorption. 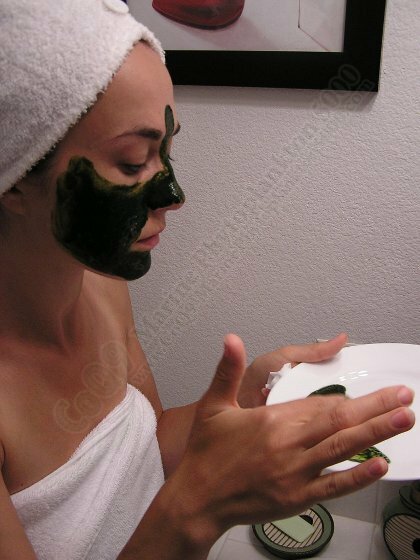 This is also how the MP5000 nutritional facial mask works. 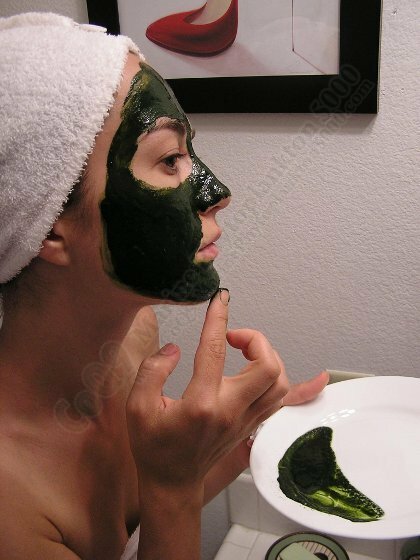 When a long-time customer suggested the face mask idea, we were skeptical at first.. After trying it, however, one by one the members of our staff were totally amazed--and hooked for life! 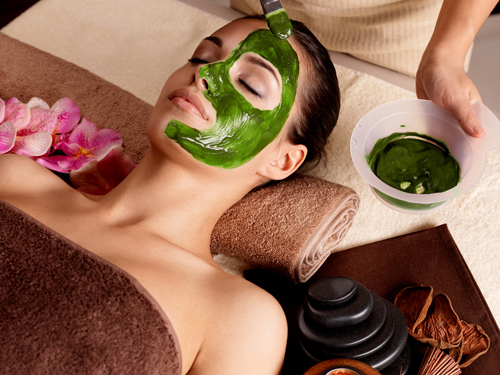 We are glad to hear that many others have since followed suit and regularly apply the facial mask as well. The results are amazing! 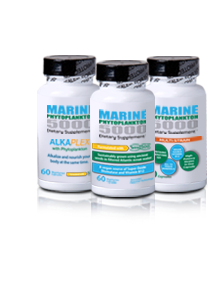 Because the nutrients in marine phytoplankton are microscopic and in their natural state, they are able to cross the skin barrier and deliver nourishment to the lower skin layers, assisting detoxification of the body's cells through respiration.  The result is skin that is more energized, firm with a more even skin tone--and less breakouts! 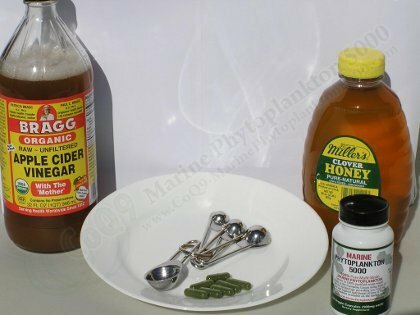 Everyone we know who has tried the MP5000 facial mask has reported some type of benefit from its use, from firming saggy skin, reducing wrinkles, diminishing the appearance of blemishes, acne and skin irritation, and restoring the youthful glow, energy and suppleness--leaving the skin feeling vibrant and young! It's simple, fast, and safer for skin than store-bought facial masks that usually contain toxic or harsh chemicals that can actually dry and age the skin with regular use. 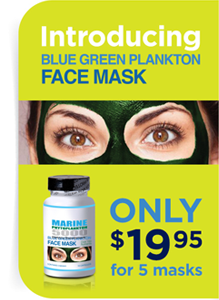 NOTE: There have been no reports of allergic reactions with the use of this nutritional face mask. If you are prone to allergic reactions, we recommend doing a test on a small area of the skin just to be safe. 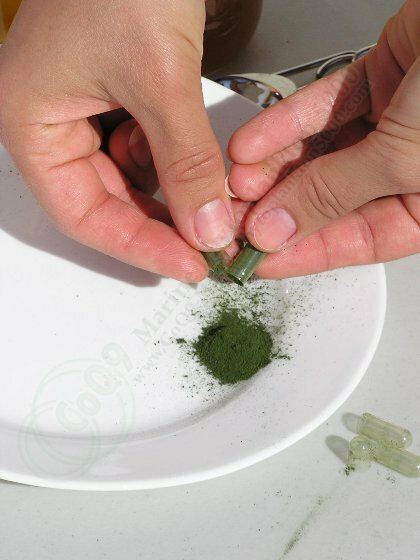 Step 1: Pull apart (3) capsule and empty them on to a smooth plate. Warning: If you have never used apple cider vinegar on your face, we suggest starting with a 9:1 ratio (9 parts water to 1 part vinegar) for your first facial mask. 100% Apple Cider Vinegar has a slight hot flushing effect on the skin. This effect is healthy for the skin; however, some people find it unpleasant. 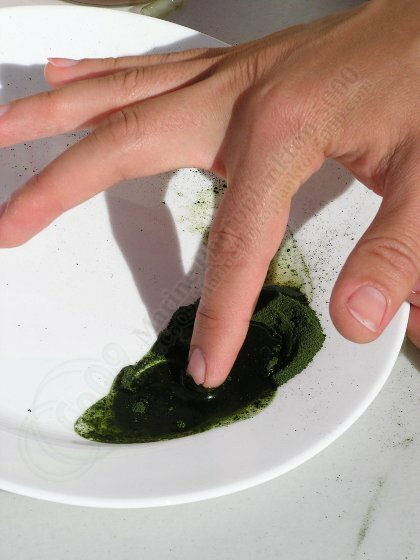 Step 3: Use you index finger to blend the liquid and phytoplankton. 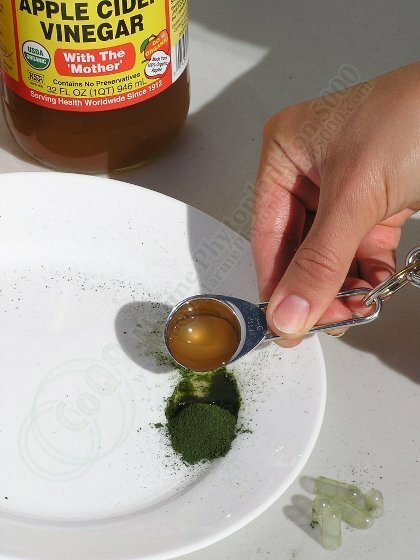 Stir using small circles with your finger until you have a consistent green paste. 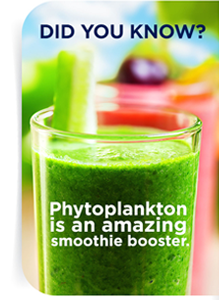 Once it is mixed well, the plankton paste will stay together on one side of the plate. 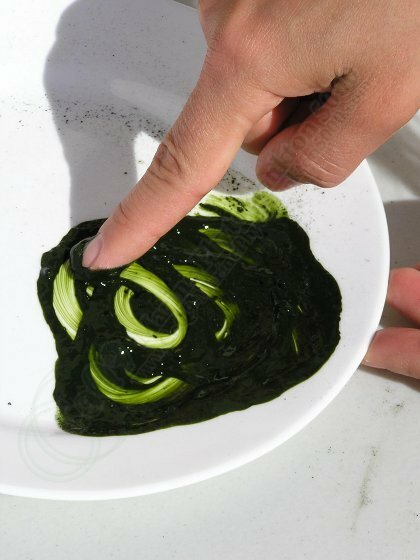 Step 4: Apply the plankton mask by dipping your finger in the green plankton paste and spread onto face using upward and outward strokes. Completely cover the desired areas. Step 5: Let the mask dry for 15 to 20 minutes before rinsing. You will notice a tightening effect as the mask is drying--this is normal. Once you rinse the mask off, your skin will feel vibrant and refreshed! 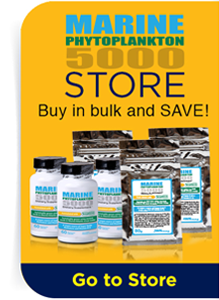 Now you have multiple ways to reap the benefits of marine phytoplankton! 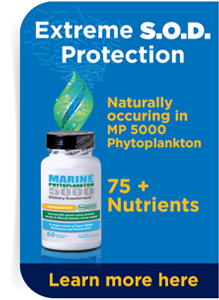 We'd love to hear what you think about the Marine Phytoplankton 5000 facial mask!